Related: 5 of our favorite, unexpected uses for mayonnaise. Yes, we’re talking to you, mayo-haters. 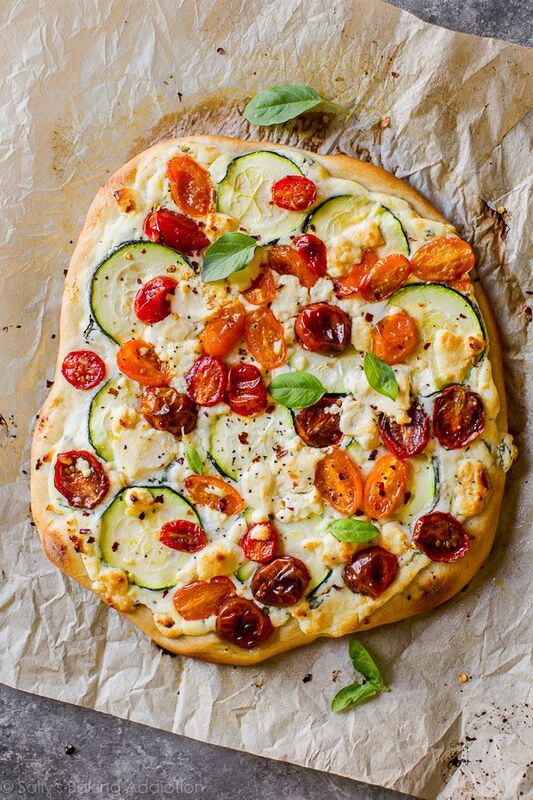 Start the week with this #MeatlessMonday classic: Zucchini and Herbed Ricotta Flatbread at Sally’s Baking Addiction. Sally includes an easy flatbread-from-scratch recipe but you can easily substitute store-bought instead. It’s a great way to use some of those spring veggies that are starting to come in season. 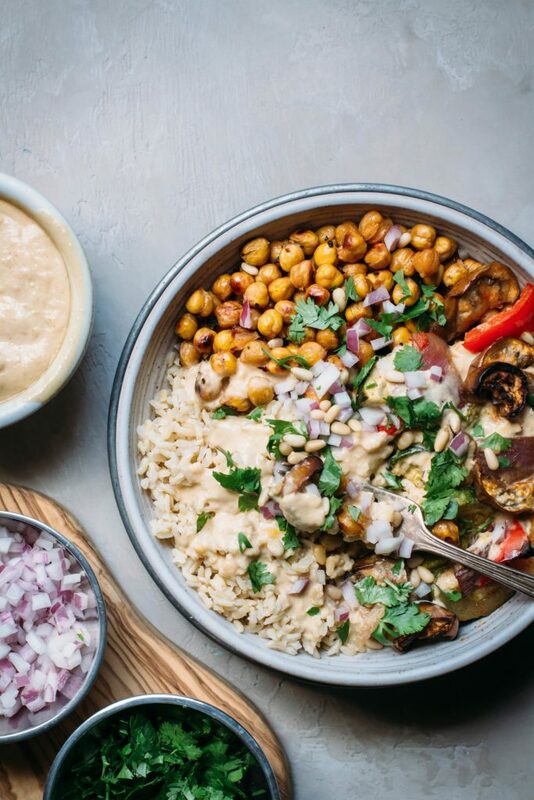 The quickest way to get kids to say yes to veggies is dip, and we love the mango tahini sauce in this gorgeous Moroccan Spiced Vegetable and Chickpea Bowl with Mango Tahini Sauce at Simple Natural Nutrition. The meal is vegetarian, but you could easily add some meat if you want. That said, we think it’s totally unnecessary! There’s so much goodness going on here, you won’t miss it. 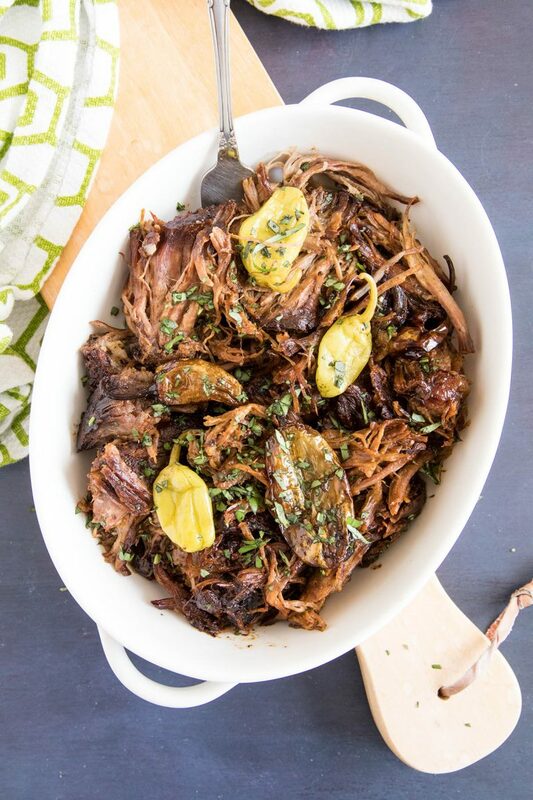 I live in Nashville, and Mississippi Pot Roast is a staple on most dinner tables around here. But usually the recipe calls for lots of packaged ingredients with tons of preservatives. So we’re excited to share this recipe at Chili Pepper Madness that only calls for real ingredients. You can serve it up with some roasted potatoes and veggies, or serve it in tortillas street-food style. Note that it requires five hours of cooking time, so you might want to put it in the slow cooker in the morning so it can cook unattended. 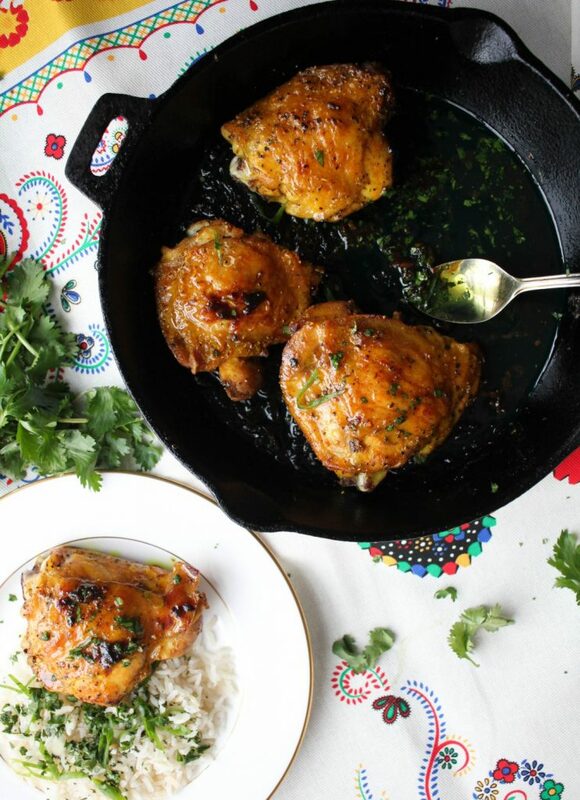 We’re dealing with lots of colds and runny noses at our house, so this Honey Turmeric Skillet Chicken at The Seasoning Bottle might be just what we need. In fact, this combo of honey and turmeric to fight the flu was Briana’s original inspiration. We just think the kids will be asking for seconds on this crispy, spicy-sweet dinner. 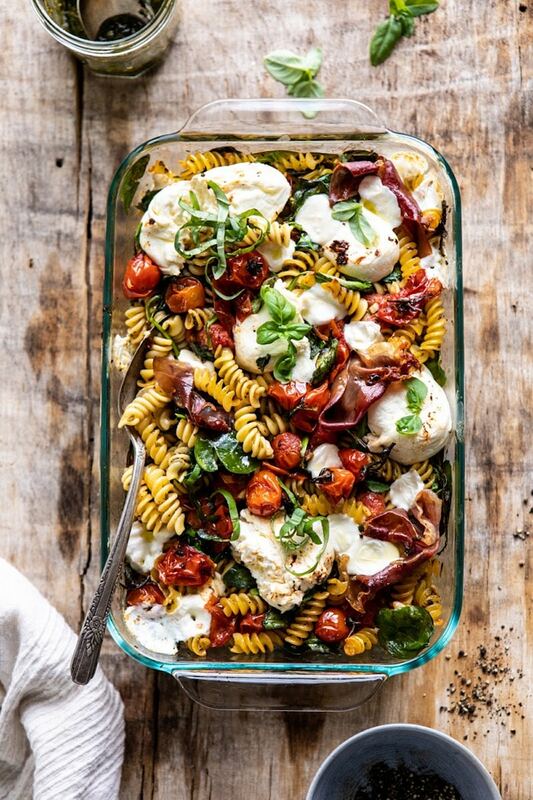 I’ve been eyeing this over-the-top Caprese Pesto Pasta Bake at Halfbaked Harvest this week. 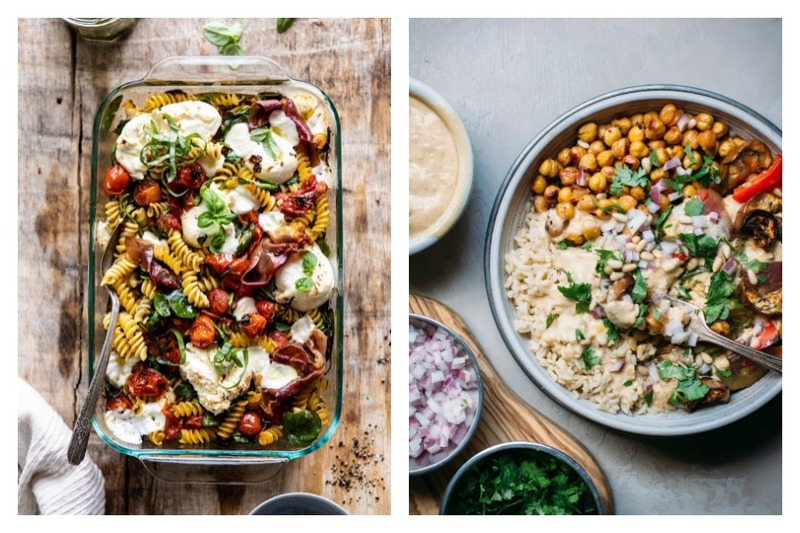 This newest recipe from Tieghan looks incredible — from the fresh burrata to the roasted cherry tomatoes. She includes prosciutto in her recipe too, but I think you could easily leave it out for a vegetarian dinner. Confession: I’m not much of an ice cream fan. But when the weather gets warmer, I do crave some mint chocolate chip ice cream. 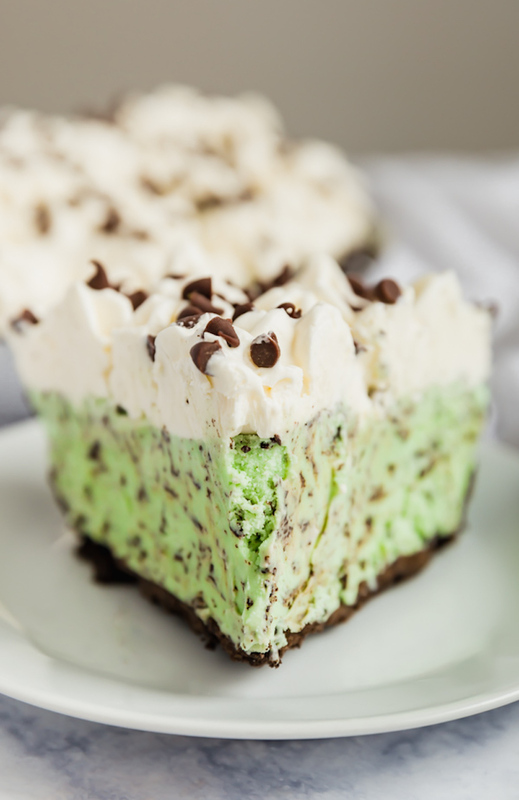 This Peppermint Ice Cream pie at The Life Jolie couldn’t be easier, and it’s a great way to serve ice cream up to the whole family on a warm spring night.